This program is the first of its caliber and kind in Western Canada and is the doorway to nurturing and guiding the talented youth of today on their journey to a professional performance career. Programs of this level are rare to find without needing to travel far away from home. Students go to school in the morning and do their training later in the day. It is designed for secondary students from grades 8 to 12 and up. Entrance into the VAD Acro Elite training program is by assessment only by our Aerial & Acro Director. The school year starts in September and runs for 9 months. Our baseline, half-day program starts at a minimum of 20 hours per week. Secondary school students can receive credit towards their high school graduation with VAD's programs. If you’re interested in our Acro Elite dance classes in Richmond and would like to arrange an assessment, please contact acro@vancouverdance.com. 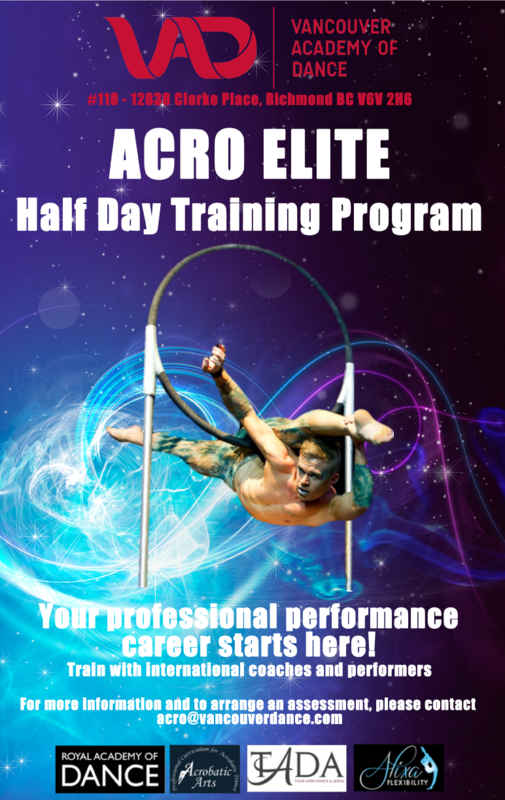 VAD Acro Elite training program is specially designed to meet the needs of any dancer, acrobat or gymnast aspiring to pursue a professional career in the performing arts. Under the guidance of VAD’s Aerial and Acrobatics Director, this weekly intensive program provides performance, guidance and talent opportunities worldwide. 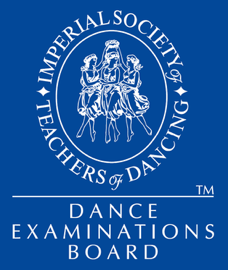 Your journey to a professional career in the performing arts starts here in an ELITE, FUN and SAFE environment. Internationally acclaimed and recognized choreographer and entertainer from Australia, Tyler is an expert in aerial arts, acrobatics, hand balancing, tumbling and hand-to-hand. Tyler was the youngest person ever to be funded by the Australian government ARTS ACT fund and has been working professionally in the entertainment industry since the age of 9. Companies that have benefited from Tyler’s performance and instruction include names from Cirque du Soleil and the Australia Institute of Sports to BLOCH and IADMS. Tyler furthered his profession and expertise, in the cruise industry, sailing the world as an entertainer and contributor in performance conception. In 2013, Tyler moved to Canada where he was instrumental in the beginning stages of Acrobatic Arts, one of the largest acrobatics curricula in the world, by constructing a large portion of the hand balancing syllabus. He also drove the design and launch of a new centre for high level and aspiring athletes while based in Calgary. Tyler now calls Vancouver home and is the Director of Vancouver Academy of Dances’ Half Day elite Aerial and Acrobatics Program, the first of its kind in Western Canada. He also continues to devote his time as the Founding Director of TADA, Tyler Ayres Dance and Aerial, which develops and represents top-level performers and publishes a training curriculum for hand balancing, suitable for athletes, aerialists, dancers and acrobats. For more information on this fantastic program, we welcome you to give us a call today!